Add colour, structure and panache to your beds and borders this spring. 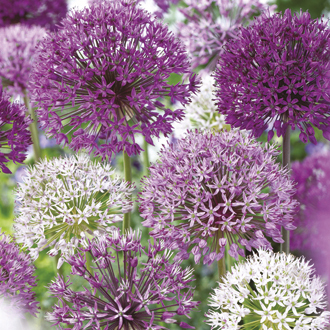 This 50 bulb mix of 5 different alliums will bring their vibrant mauves, purples and cool whites to your garden from mid May to June. All great varieties for cutting and will last for years in the garden.